The Aldub Wedding is Happening and Here Are the Prenup Photos to Prove It! If you’re a Filipino, then chances are you know about the Aldub craze that swept the nation. On-screen sweethearts Alden Richards and Maine Mendoza are now “tying the knot” in their show. We love the fact that though this is just part of a storyline the Filipinos have followed, they actually did a pre-wedding shoot with Manny and April Photography. It’s endearing how our country just loves all things weddings. So enjoy and watch out for the #aldubwedding happening soon! Goodness, this is indeed happening FOR REAL (please, Lorddddddd) . OMG grabeh kinilig ako sa kanila… True ba to. Gorgeous! Thank you Bride and Breakfast for featuring the hottest love team of today and the most influential couple endorsers, AlDub! <3 A lot of people may bash them, but a lot more love them. Thank you! sht! di ko ma pigilan!!!! ang ganda ng kuha tas yung DALAWAAAAAAAAAAAA! MYGOD! Beautiful pics. Hoping that soon the wedding will be a real one. Beautiful place 🙂 where’s this? OMG! I love these pics! I read that you featured Alden and Maine here, that’s the reason why i checked your website! Thank you! ALDUB you Bride and Breakfast! If you don’t know them, you’d think these prenup photos are for a real bride and groom. Their chemistry is off the charts. I can’t explain why there’s that certain glow in Maine when in fact these photos are.only for a show! They are so perfect together as these prenup pics would suggest! So real and so in love! Very nice shots, love ALDUB. Wishing this is for real. Goosebumps!! They look like a real couple 🙂 Oh, I love it! In my mind, I know this Pre Nup Pictorial is for KS but it FEELS oh so REAL! If this is just a Pre Nup for KalyeSerye, I can just imagine what their Pre Nup Photos and Videos would be like when they are preparing for their real wedding! As an AlDub/MaiDen/MaiChard fan, I truly hope and fervently pray that, SOON, this will become a reality. happiness overload… wish this is real na! sana for real., you two look together!!! Congrats you get Aldub ! good investment . Their chemistry is off the charts. That’s why they always look good in photos, lalo na sa prenup nila!! They are real couple disguised as TL, indeed. In the name of Jesus Christ, I lose all forces of heaven to entwined your hearts forever & bind all forces of evil that might hinder your love now & all the days to come. Could be for real. Maine’s wearing, in these prenup pics, the real engagement ring from Alden! 🙂 The KS ring is different. OMG! isa ako sa masasaktan pag char lang to Lord please make this happen!!! Wow iI love it! It feel so real! Im excited for Aldub! Whether it’s real or reel, it brings out “LOVE” in all of us! love the prenup photos.. <3 u both! 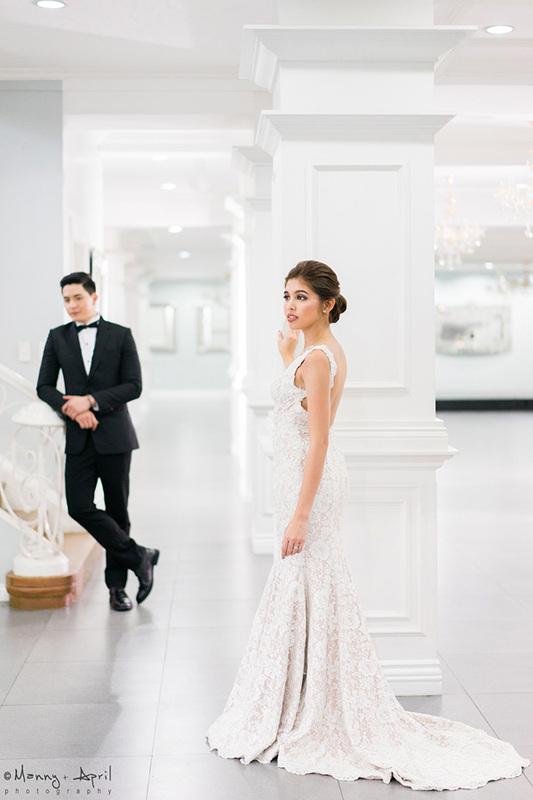 who is the designer for Maine’s wedding dress in the photo? Hi Jiu! It’s Claiza Bihasa, we also credited her at the bottom of the post. Thanks! They perfectly compliment each other and that’s the magic of Alden and Maine. Scrolling pics to get some ideas. this is still nice. « Cristalle Belo and Justin Pitt’s Wedding Video Will Make You Want to Go to Lake Como Right Now!